Considered one of the foremost satirists of postrevolutionary Russia, Mikhail Bulgakov is best known for his novel The Master and Margarita (1966), which is recognized as one of the greatest Russian novels of the century. Many of Bulgakov’s works concern the adjustment of the Russian intellectual class to life under Communist rule. Due to official censorship of his manuscripts during his lifetime, Bulgakov’s best works remained unpublished until after his death. Family Life. Bulgakov was born on May 2, 1891, in Kiev to a middle-class intellectual family. Music, literature, and theater were important in the family life of the young Bulgakov, as was religion. His father, a professor at the Kiev theological academy, instilled in his son a belief in God and an interest in spiritual matters that he would retain throughout his life. Served in World War I. Bulgakov attended Kiev’s most prestigious secondary school, then continued his education as a medical student at the University of Kiev and graduated with distinction in 1916. At the time, Russia was undergoing immense change. The country was embroiled in world war i while the last Russian czar, Nicholas ii, was facing opposition to his rule through rebellions in 1905 and 1917 that ultimately led to his loss of power. Assigned to noncombat duty in the Russian army during world war i, Bulgakov worked for several months in frontline military hospitals until he transferred to a remote village, where he served as the only doctor for an entire district. His trials as an inexperienced doctor working under primitive conditions, and the difficulties he faced as an educated man among the ignorant, superstitious peasants, are recorded in the autobiographical stories of A Country Doctor’s Notebooks. Wrote Amidst Turmoil. Upon his discharge in 1918, Bulgakov returned to Kiev in time to witness the Bolshevik Red Army, the anti-Bolshevik White Army, German occupation forces, and Ukrainian nationalists struggle for control of the city, which experienced fourteen violent changes of government in two years. While Kiev was part of several Ukrainian states that were shortlived, the city became part of the Soviet Union in 1921. By the time Nicholas ii and his family were executed in 1918 by Communist Party representatives, Vladimir Lenin, a Bolshevik party leader, had assumed power and Communist-controlled Russia had become the Soviet Union. In 1919, Bulgakov published his first story, and the following year he abandoned medicine to devote his time to writing feuilletons (light, popular works of fiction) for local newspapers and plays for local theaters in the Caucasian city of Vladikavkaz. 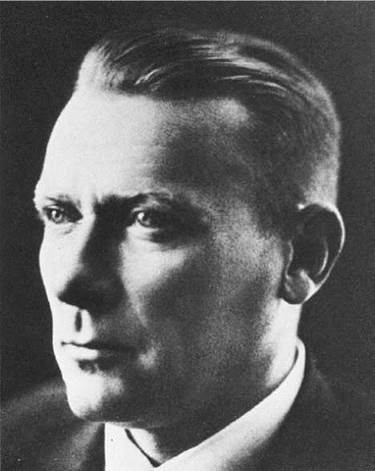 In 1921, he moved to Moscow, where he struggled to support himself and his first wife by editing and writing for various newspapers, a task that he described as ‘‘a flow of hopeless grey boredom, unbroken and inexorable.’’ With the partial publication in 1925 of the novel The White Guard in the magazine Rossiya, Bulgakov gained sufficient respect and popularity as an author to abandon newspaper work. Political Controversy The realistic novel The White Guard (1924) was Bulgakov’s first major triumph and is notable as one of the few works published in the Soviet Union that sympathetically portray the supporters of the anti-Bolshevik cause during the Russian revolutions. This outstanding novel was never reprinted in Russia, but Bulgakov’s dramatic adaptation of it, The Days of the Turbins (1926), became a fixture on the Soviet stage. Soviet dictator Joseph Stalin, who took power in the late 1920s after the death of Lenin, attended the production fifteen times, viewing the play as ultimately favorable to the Bolsheviks. From 1925 to 1928, Bulgakov worked in close association with the Moscow Art Theater as a writer, producer, and occasionally an actor. His plays were all well received by audiences but denounced by party critics. In 1929, Bulgakov’s works were banned for their ideological nonconformity. For the next two years, Bulgakov was unable to earn a living, and in 1930, frustrated, depressed, and penniless, he wrote to the Soviet government asking to be allowed either to work or to emigrate. Stalin personally telephoned Bulgakov three weeks later and arranged for his appointment to the Art Theater as a producer. By this time, Stalin’s repressive policies led to his iron-fisted control of all aspects of society, including severe policies in the arts. Yet, in 1932, reportedly at Stalin’s request once again, Days of the Turbins was returned to the stage, making it possible for Bulgakov to have other works published and performed. He remained with the Art Theater until 1936, when he resigned in protest over what he saw as the mishandling of his drama A Cabal of Hypocrites, at which time he became a librettist for the Bolshoi Theater. Though publishing little, Bulgakov wrote steadily despite suffering from poor health and becoming blind the year before his death from nephrosclerosis in 1940. Posthumous Fame. It was not until the 1960s that Bulgakov was fully rehabilitated by the Soviet authorities. At that time the manuscripts of numerous stories and plays and of three novels were discovered and published. These works established him as one of the finest twentieth-century Russian writers. The first of the novels to appear was Black Snow, written in the late 1930s and a satire on the Soviet theatrical world. The second, The Heart of a Dog (written in 1925), is a science fantasy in which human organs are transplanted into a dog, giving it the most disgusting qualities of mankind. The Master and Margarita is a complex, grotesque, and fantastic satire, combining a unique interpretation of the story of Jesus with descriptions of the literary and theatrical circles of Moscow and with weird adventures caused by the mischief of the devil. The novel has many symbolic elements that can be interpreted in a great variety of ways. Leon Trotsky (1879-1940): One of the leaders of the Bolshevik Revolution and commander of the Red Army during the ensuing civil war, Trotsky was exiled from the Soviet Union after Stalin's rise to power. He was assassinated by a Soviet agent while living in exile in Mexico. Lavrentiy Beria (1899-1953): Notorious head of the Soviet intelligence agency during the height of Stalin's political purges, he was eventually sentenced to death by firing squad in the wake of Stalin's death (which many blamed him for). Sergei Eisenstein (1898-1948): Highly influential Russian film director whose use of the technique of montage and other innovations changed the language of film forever. His use of villains dressed in white in Alexander Nevsky would later inspire George Lucas's white-clad Stormtroopers in the Star Wars films. Vaslav Nijinsky (1889-1950): Widely regarded as perhaps the most talented male ballet dancer of all time, the Russian Nijinsky was noted both for his ability— particularly his leaps—and his intensity. Nikita Khrushchev (1894-1971): Soviet premier beginning in the 1950s through the mid-1960s. During Bulgakov's life, Khrushchev was a minor party functionary. In the wake of Stalin's death, he was placed in power by a faction opposed to Beria, where he would go on to denounce Stalin's tyrannical reign. The Gulag Archipelago (1973), a nonfiction book by Aleksandr Solzhenitsyn. Solzhenitsyn based his account of the Soviet Union's system of secret political prisons on eyewitness testimony and personal experience. Taras Bulba (1835), a novel by Nikolai Gogol. Called the ''Russian Iliad,'' this historical novel of Russian Cossack horsemen fighting against Polish invaders was fundamental in defining the soul of modern Russian nationalism. The Bronze Horseman (1833), a poem by Aleksandr Pushkin. This poem contrasts the everyday needs of the individual with the impersonal interests of the state through a depiction of the conflict between a victim of flooding in St. Petersburg and a statue of Czar Peter the Great, who had ordered the city to be built despite its location on a flood plain. War and Peace (1869), a novel by Leo Tolstoy. Considered by many to be the greatest novel ever written, this epic work follows the fates of a large cast of characters, most hailing from five aristocratic Russian families, as their individual destinies are swept up in events far greater than their own lives. Heavily influenced by Nikolai Gogol, Bulgakov combined fantasy, realism, and satire to ridicule modern progressive society in general and the Soviet system in particular. His works celebrate the nonconformist, and often portray an artist or scientist in conflict with society. The repressive era of the 1930s in the Soviet Union crippled the publications of his works, and he wrote privately for a time when he would be able to be published again. Bulgakov also expressed reaction to his censorship and the struggle of the artist subtly in his works, especially in his dramatizations surrounding the artists Moliere, Miguel de Cervantes, and Aleksandr Pushkin. Dramas. Bulgakov is believed to have written thirty-six plays, eleven of which survive. Unlike his major prose works, Bulgakov’s dramas tend toward the realistic, and are often based on historical events or figures. In direct opposition to Soviet conventions, Bulgakov refused to portray his characters as either wholly positive or negative. Rather, they are drawn as individuals with human strengths and frailties. The theme of adjustment to the new Soviet way of life dominates his plays of the 1920s. His best-known drama, Days of the Turbins, has been viewed as Moscow’s most important theatrical event of the decade and served as the focus for the debate then being waged over the place of art in postrevolutionary society. The play, which deals with the life of a family of Russian intellectuals in Kiev during the civil war, was the first Soviet play to portray the White intelligentsia as sympathetic figures, rather than the malicious characters common to socialist realist productions. Novels. In addition to his dramas, Bulgakov wrote numerous short stories and novels. His first published collection of stories, Diaboliad, and Other Stories, was strongly influenced by Gogol. In them, realism dissolves into fantasy and absurdity, and light comic satire erupts into sudden brutality. Included is his best-known story, ‘‘The Fatal Eggs’’, in which a well-meaning scientist discovers a red ray that stimulates growth. The ray is appropriated by a bureaucrat to increase the country’s chicken population, but through a mix-up produces instead a crop of giant reptiles that ravage the countryside. Critics have read the story as a satirical treatment of the Russian Revolution, or, less specifically, as a commentary on progress and a rejection of revolution in favor of evolution. ‘‘The Fatal Eggs’’ also introduces another of Bulgakov’s favorite themes: the consequences of power in the hands of the ignorant. The Master and Margarita was finally published in a heavily censored form in two installments in the journal Moskva in 1966 and 1967. A blend of satire, realism, and fantasy, the novel is not easily classified or reduced to a single interpretation. Most critics agree that The Master and Margarita is composed of three narrative strands. The first concerns the devil (named Woland) and his associates, who visit modern Moscow and create havoc in the lives of the stupid, the scheming, and the avaricious. The second deals with a persecuted novelist (The Master) and his mistress (Margarita), who bargains with Woland for the sake of her beloved. The third level of the book is the Master’s novel, a retelling of the story of Pilate and Christ that involved a tremendous amount of research into the history of Jerusalem and early Christian thought. Bulgakov was reviewed with respect during his lifetime, although it was not until the world saw The Master and Margarita, published almost thirty years after his death, that he came to be generally recognized as one of the great talents of the twentieth century. During his lifetime, his literary reputation stood mostly on the quality of the plays that he wrote for the Moscow theater. Because of the totalitarian nature of Soviet politics, critics were at least as concerned with the plays’ political content as with their artistic merit. In the years after his death, Bulgakov’s reputation grew slowly. Bulgakov’s next play, Zoya’s Apartment, concerns the goings-on at a brothel disguised as a sewing shop in Moscow in the 1920s. A comic melodrama, the play satirizes Communist institutions and life under the New Economic Policy. Popular with audiences, it was condemned by Soviet critics for being ‘‘pornographic’’ as well as for failing to convey the proper ideological viewpoint. His next play, The Crimson Island, a comic attack on censorship, prompted counterattacks on Bulgakov’s reputation and was taken out of the Art Theater repertory after only four performances. The Heart of a Dog. Another early work, The Heart of a Dog, is included among Bulgakov’s most important. Considered one of Soviet Russia’s best satirical novellas, the work portrays a scientist’s transformation of a dog into a man. The creature develops reprehensible human qualities, and the scientist changes him back into the good-natured dog he once was. The story, which has obvious thematic parallels to ‘‘The Fatal Eggs,’’ was never published in the Soviet Union because of its counterrevolutionary cast. Critical reviews of the novella have been similar to those of ‘‘The Fatal Eggs.’’ Some critics consider it a blatant political satire, equating the operation with the revolution, while others stress a moral and philosophical interpretation of the conflict between the intellectual scientist and the uneducated masses and of the disastrous results of interfering with a natural process. In 1972 Pierre S. Hart interpreted the book in Modern Fiction Studies as a commentary on the creative process: ‘‘Placed in the context of the obvious satire on life in the early Soviet state,’’ he wrote, ‘‘it gains added significance as a definition of the artist’s situation in that system.’’ While other writers saw the book as centering around the moral dilemma of Pilate or the enduring love of the Master and Margarita, Hart placed all of the book’s events in relation to Soviet Russia’s treatment of artists. Edythe C. Haber, in the Russia Review, had yet another perspective on it in 1975, comparing the devil of Goethe’s Faust with the devil as portrayed by Bulgakov. In the years since the Soviet Union was dismantled, the potency of The Master and Margarita’s glimpse into life in a totalitarian state has diminished somewhat, but the book's mythic overtones are as strong as ever, making it a piece of literature that is every bit as, if not more, important than it was when it was new. 1. Study the treatment of writers in the Soviet Union in the 1930s through the 1960s. Report on the standards to which writers were held by the government and the punishments that were given to those who disobeyed. 2. Despite Bulgakov's politically unorthodox views and the censorship of his work, he enjoyed support during his lifetime from the Soviet establishment, particularly Joseph Stalin. Why do you think this was? Write an imaginary dialogue between Stalin and Bulgakov based on the phone call Stalin made denying Bulgakov the right to leave the country. What reasons do you think Stalin would have given, and how do you think Bulgakov would have reacted? 3. Read Faust, by Johann Wolfgang von Goethe, which is openly acknowledged as one of the inspirations for The Master and Margarita. Compare Goethe's version of the devil with Bulgakov’s Woland. Which do you think is more dangerous? Which is written to be the more sympathetic figure? Why do you think Bulgakov made the changes to the devil that he made? 4. How is oppression expressed throughout The Master and Margarita? What role does the devil play in commenting on Soviet oppression? Is oppression presented as a personal or impersonal force? Hunns, Derek J. Bulgakov’s Apocalyptic Critique of Literature. Lewiston, N.Y.: E. Mellen Press, 1996. Milne, Lesley, ed. Bulgakov: The Novelist-Playwright. Weeks, Laura D. “The Master and Margarita’’: A Critical Companion. Evanston, Ill.: Northwestern University Press, 1996.